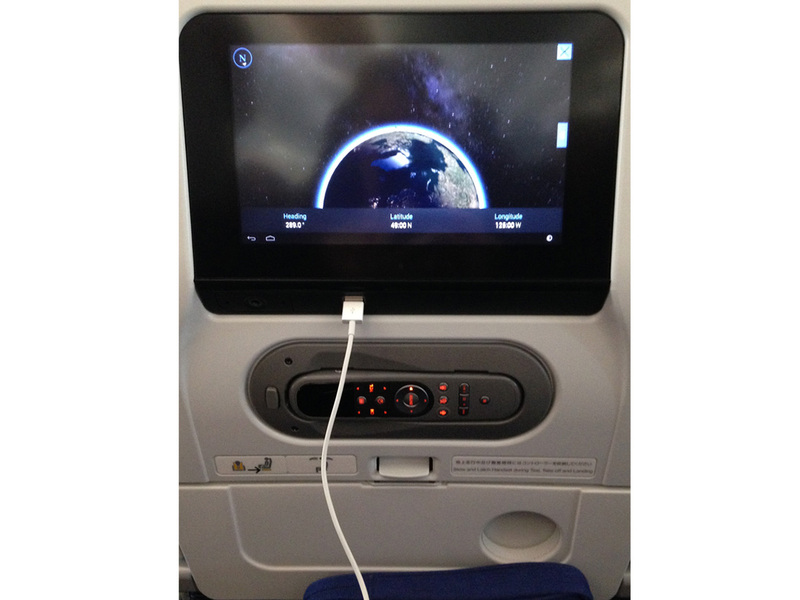 ＜ANA Flight Vancouver- Tokyo＞he flight from Vancouver to Tokyo was very comfortable and enjoyable. The service was excellent as flight attendants were polite and attentive. 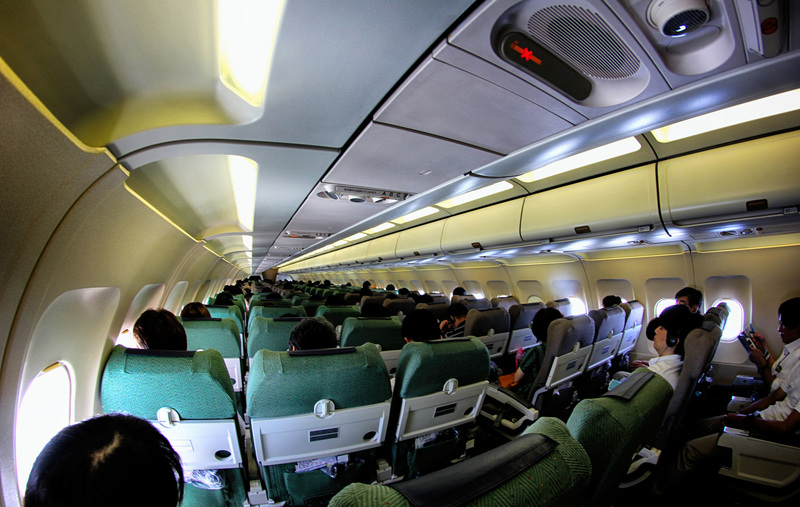 The cabin spaces were also very clean, including the washrooms throughout the duration of the flight. Passengers were given a pillow and a blanket to stay warm and comfortable during the flight. The available foot rest and bendable headrests greatly increased my comfort during the flight, allowing me to sleep on the plane, which I normally can not do. The leg room was also good. I didn’t feel cramped, even when the passenger in front me had their seat reclined. We had a nice selection of movies to watch on our seat-back screens. 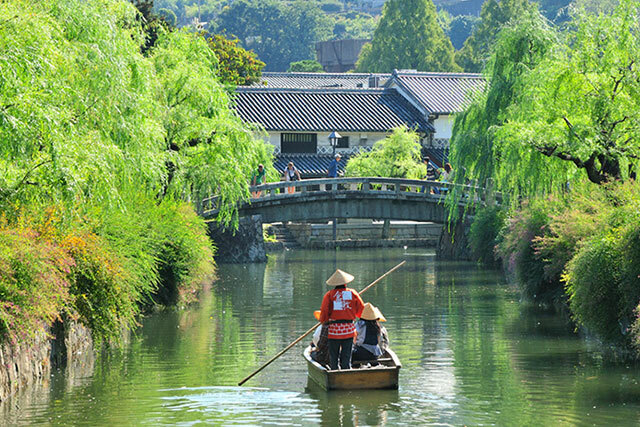 I enjoyed watching the ANA original program “Sky Eye” and learning more about the sights, foods and crafts of different areas of Japan. The food on the flight was tasty and nutritious. We had a hot dinner meal (2 options to choose from), a cold breakfast meal, plus a small snack and drinks. My favourite was the vanilla bean ice cream for dessert. 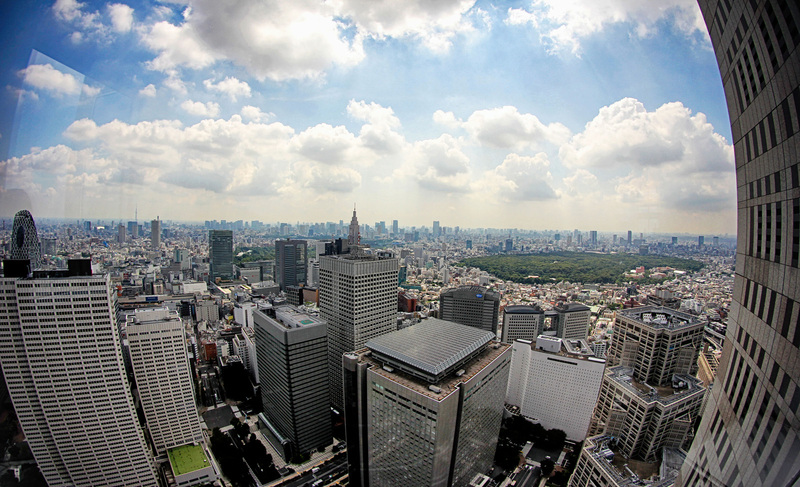 ＜Tokyo Metropolitan Government Building Observation Decks＞The view from the observation tower was excellent, especially since it was a clear day. 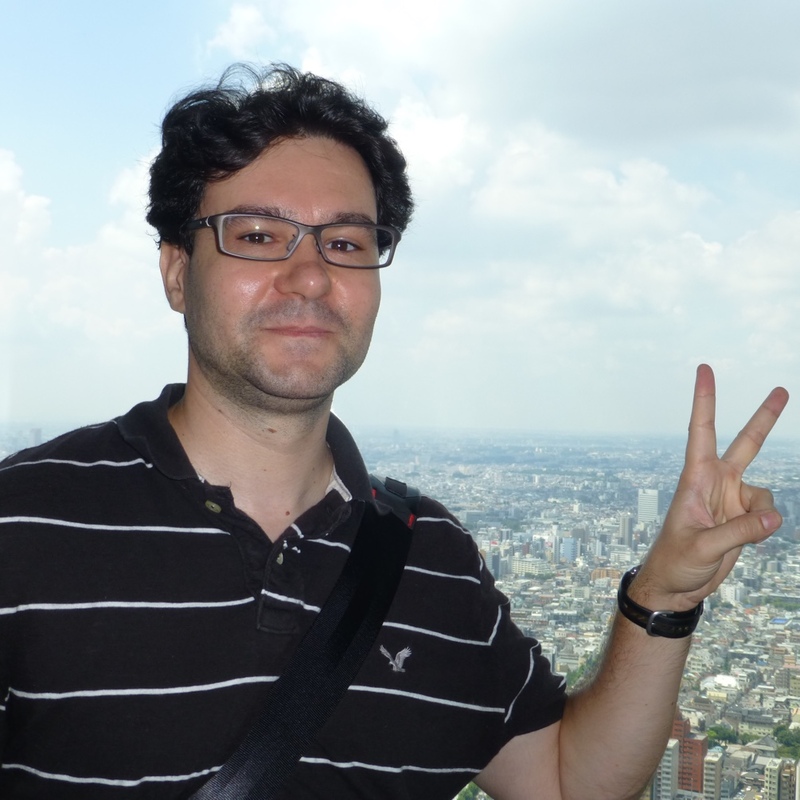 It was fun to see the areas of Tokyo I had visited from above to get a new perspective. I think tourists would also really like this observation tower because there is no cost for admission. The restaurant had a nice traditional atmosphere and I liked the private room we ate in. The food looked and tasted fresh and was presented nicely. The staff was also very attentive. I hadn’t tried raw seafood before this lunch and unfortunately found out that it’s an acquired taste. It also was quite a lot of food for a lunch meal. 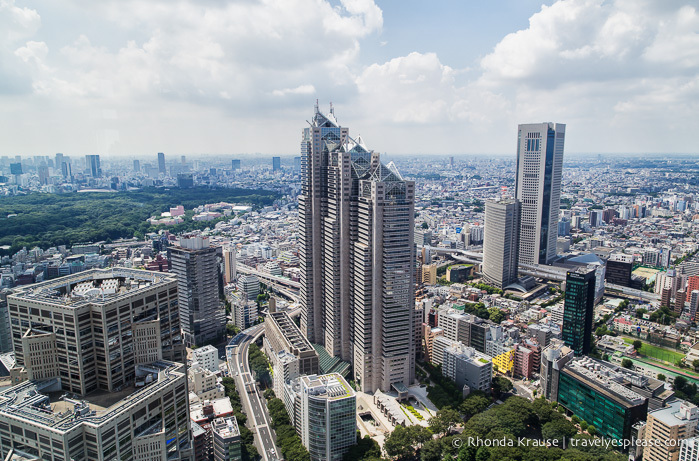 ＜Tokyo Metropolitan Government Building Observation Decks＞It was a lot of fun to see Tokyo from above for free and to see there is also a gift shop to buy many souvenirs. 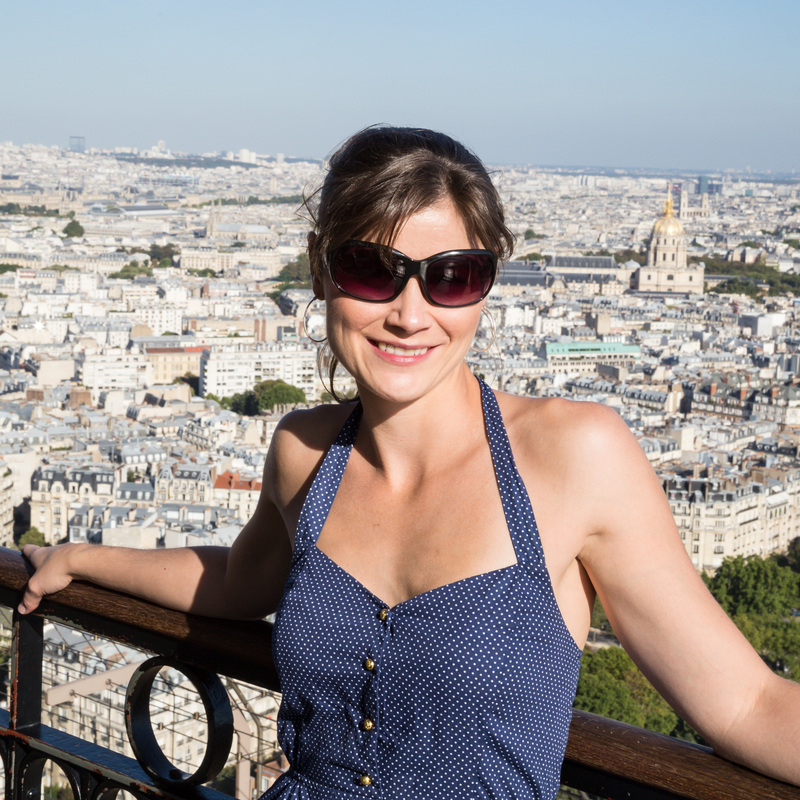 You can walk around the viewing deck to see many angles of the city. 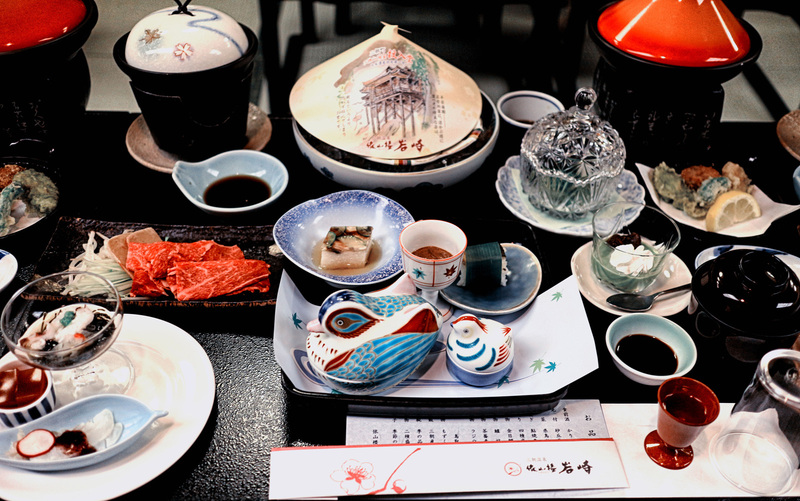 ＜Gensai Ichijo- lunch＞The restaurant looks very traditional, the servers all wore old fashioned outfits and were very polite. 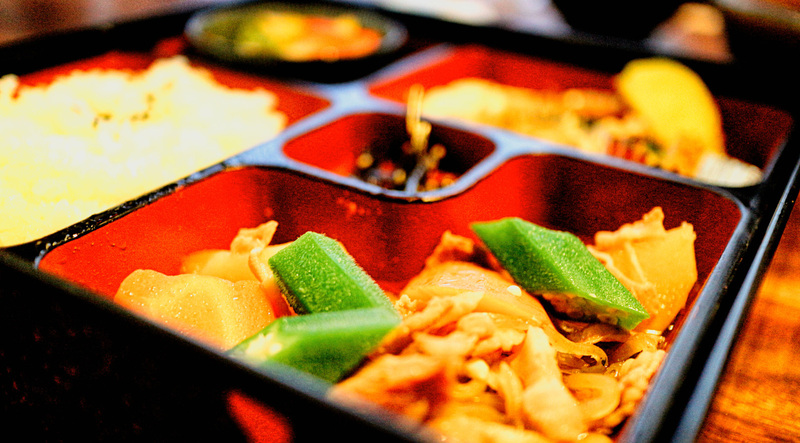 The food was very eclectic and varied staples with exotic dishes. It was fun to see a wrestler leaving after training! The small stroll garden next to the stadium was a pretty place to take a rest. I liked the turtles in the pond! 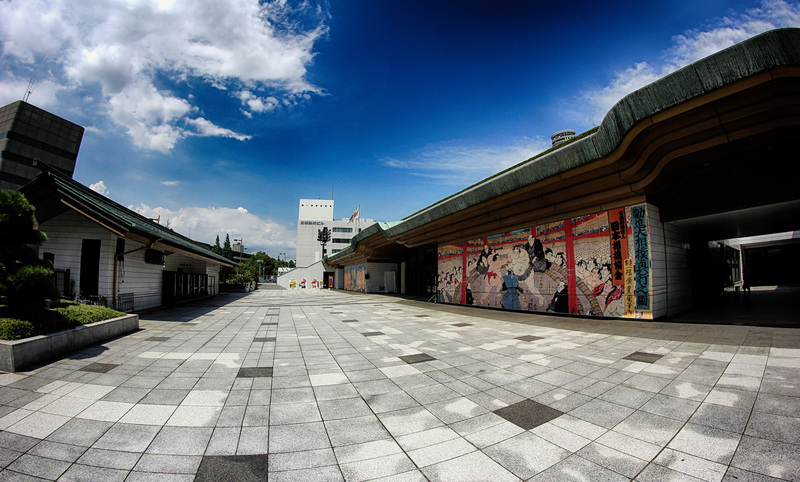 ＜Ryogoku＞The sumo museum was very cool and included photos of previous winners. Once outside the museum we had the chance to see a real live sumo athlete who just finished his training. 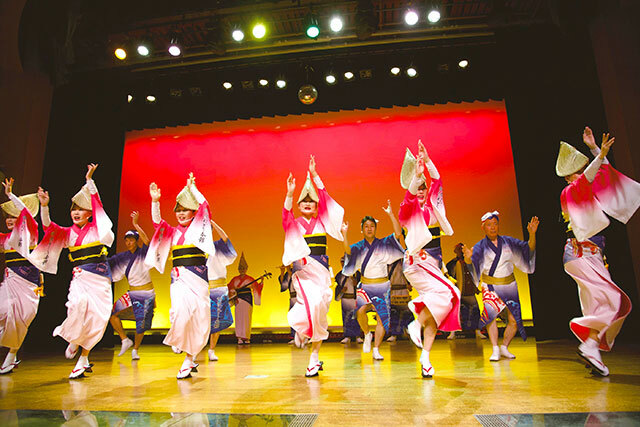 The museum allows visitors to learn about the history, culture and lives of people in Edo-Tokyo. 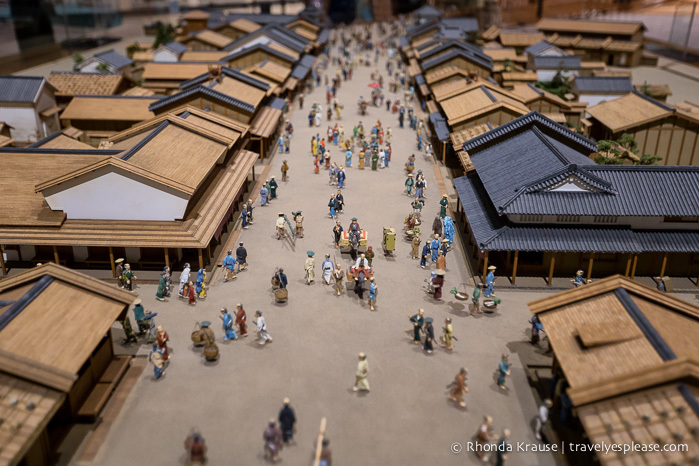 In the permanent exhibition area are life-size models of Nihombashi Bridge and a drama theater in the Edo Period, as well as models of the Rokumeikan Hall and the brick streetscape of Ginza in the Meiji Period, showing what life was like at the time through three-dimensional exhibits. 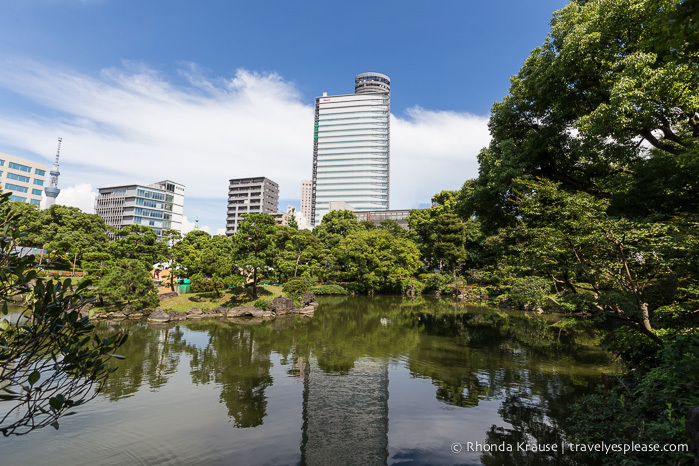 A wealth of real-life materials including ukiyoe paintings, kimonos, and daily household items are also exhibited to coincide with the changing of the seasons, allowing visitors to enjoy learning about the history of Edo and Tokyo. I normally don’t visit many museums when I travel, but the Edo-Tokyo Museum was a really enjoyable experience. It wasn’t a typical museum, with just pictures and an information plaque, or small exhibits behind glass that you can’t touch. There were many interactive areas in the museum which helps make it fun and engaging. 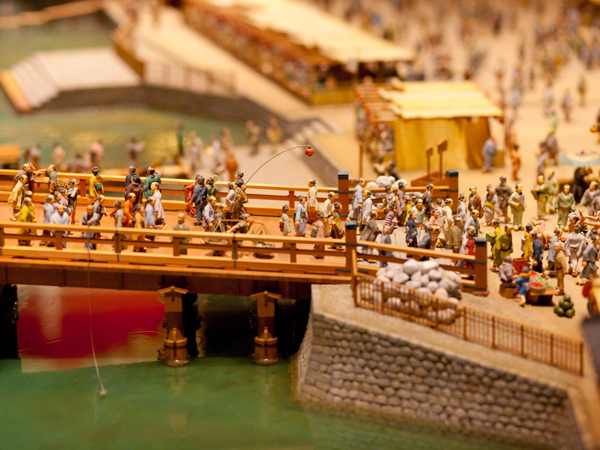 I loved the large replicas of the bridge and theatre, as well as the displays with all the tiny figurines. 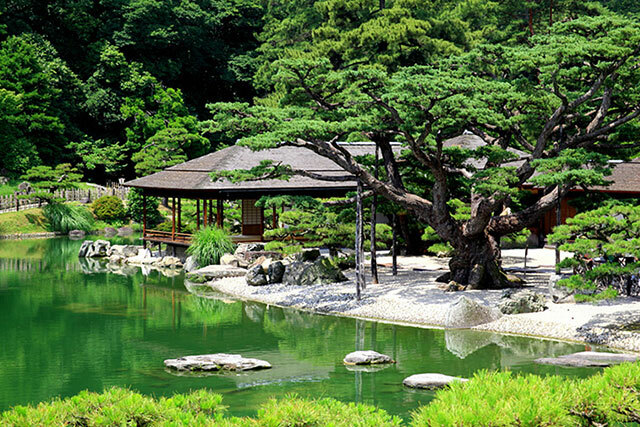 The museum is very comprehensive in showing the history of Tokyo and is a great place to learn about the city’s past. I would definitely recommend this museum to people planning on visiting Tokyo. 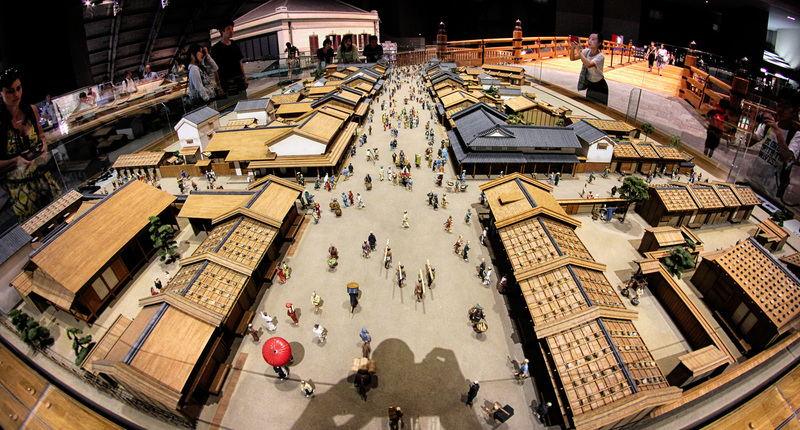 ＜Edo-Tokyo Museum＞The museum is quite vast with some full size buildings and also many miniature dioramas of life during the Edo period. There are small figurines of people and even animals as well as many buildings and vehicles from that era. There are also some real size objects that you can try holding and using while in the museum to get an idea of how people lived back then. 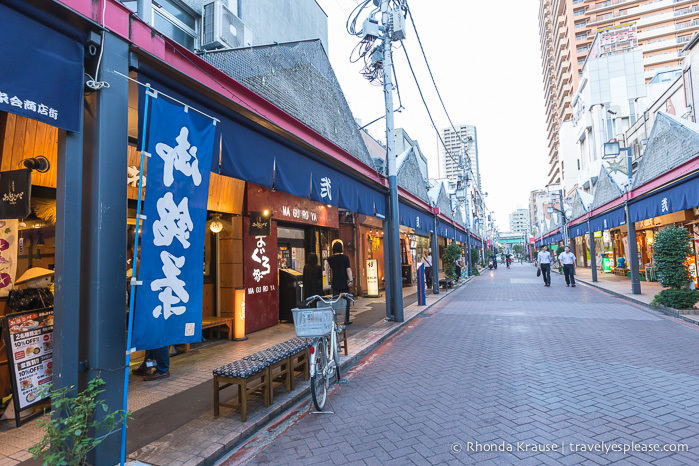 Tsukishima seems like an interesting area to wander around if you like to visit shops and restaurants. The atmosphere was lively and casual, seemed like a good place to come for a fun dinner with friends. It was interesting to see the cooking process at the table. 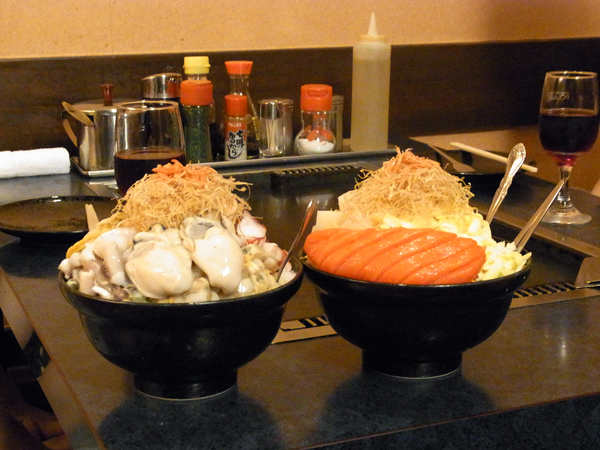 This was my first time having monja. I thought it had a unique texture. 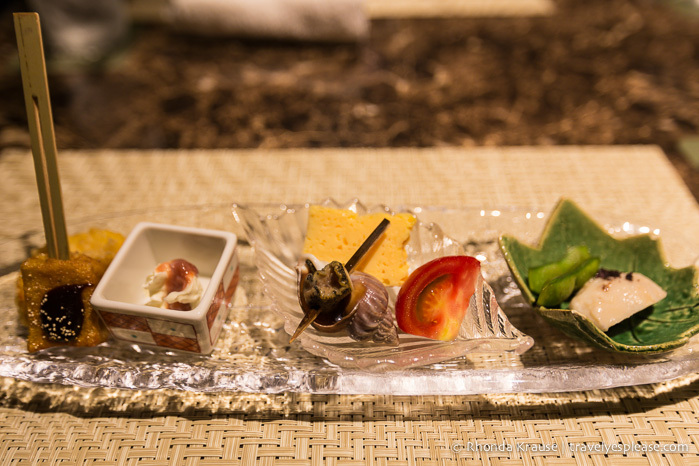 ＜Tsukishima Komachi- dinner＞The restaurant was very small and cozy and served specialty food. 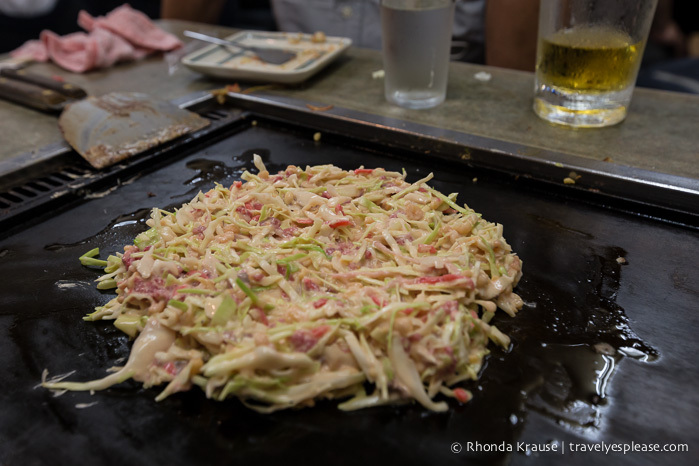 It was good that they offered different meats, seafood or just vegetables for the Monja and the okonomiyaki as well as beer to go along with it. I would definitely recommend this hotel to other travellers. Its location is very convenient for people arriving from Haneda airport and it has easy access to many different subway lines and a JR line. The hotel room was elegant with many amenities. I loved the large desk to work at and how it had plenty of plugins for my electronics. The front desk staff was very friendly, professional and helpful. Breakfast was delicious with a large selection of western food. 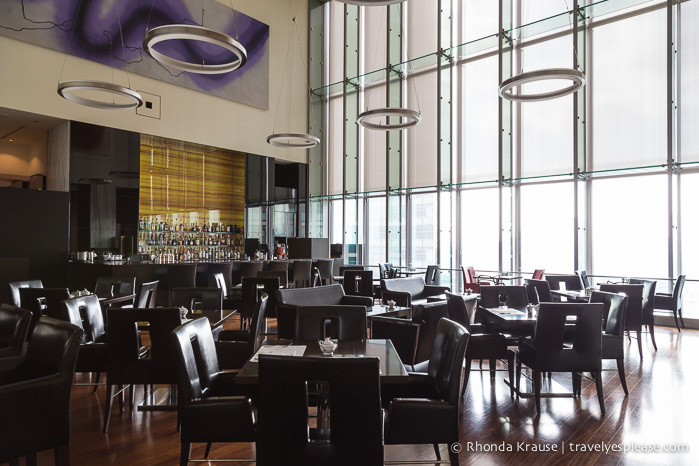 I also loved the city views from the breakfast restaurant and the hotel lounge. 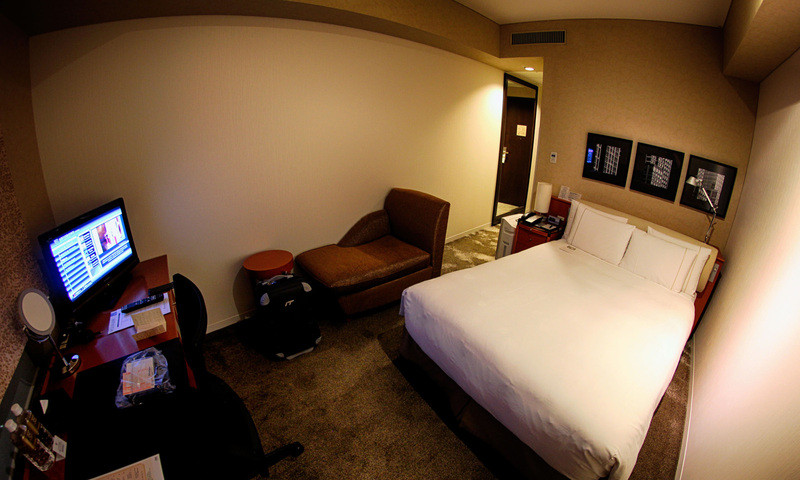 ＜Royal Park Hotel Shiodome＞The hotel was great, it is very stylish and modern in both architecture as well as room arrangement. 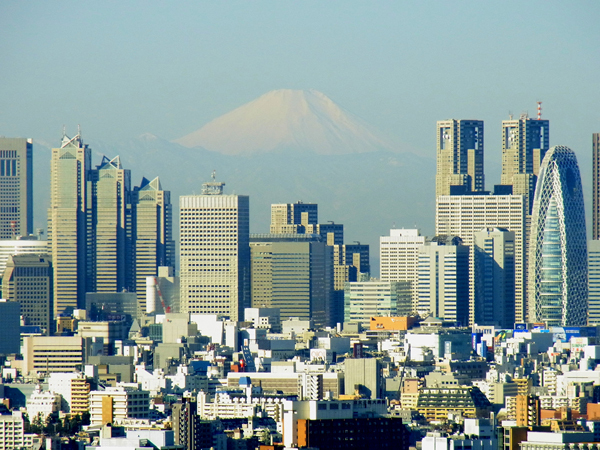 The people working at the front desk were very friendly and accommodating and the breakfast offered was amazing.The breakfast was buffet style and you have an amazing view of the Tokyo tower and Shimbashi area while you eat. The JR train was punctual and comfortable. It’s a convenient way to get around the city. ＜Train＞The train was on time and quite fast going from Shimbashi station to Hamamatsucho, it was very easy to use the pre-bought ticket to get into the gates. I loved that Haneda airport is much closer to the city than Narita. It was easy to find my way around the airport thanks to the signs and maps. I liked that there were places to plug in your phone or laptop while waiting for a flight. Both my flights left on time. ＜Haneda Airport＞The airplane was relatively small and we had the chance to sit at the back of it which was very interesting. We were offered water or juice during the trip which was about one hour and twenty minutes and we arrived on tip at the airport in Tottori. 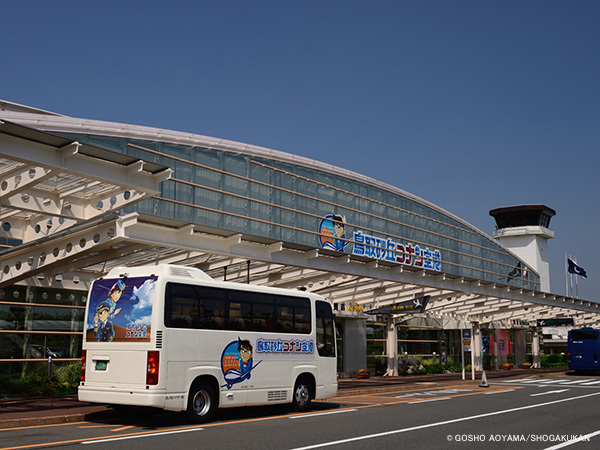 The bus from Tottori Sand Dunes Conan airport is a convenient, easy way for tourists to get from the airport to Tottori station, where the tourist office is. I liked that we didn’t have to wait for the bus to get to the airport, as it was already there when our flight arrived. I really enjoyed the traditional atmosphere of this restaurant. It was very beautiful inside and we got to eat in a private room. The food was also really delicious. I like that we were able to choose what we wanted to eat off the menu, so we could try a dish that interested us. 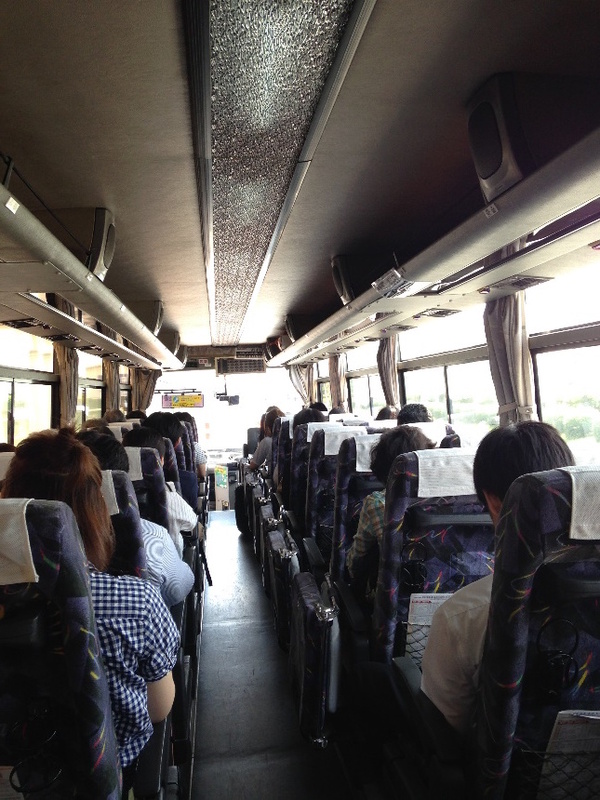 ＜Bus from Tottori Sand Dunes Conan Airport＞The bus was waiting at the Conan airport terminal as we arrived and as soon as we got off the plane we jumped on the bus and were taken to Tottori station quite quickly. 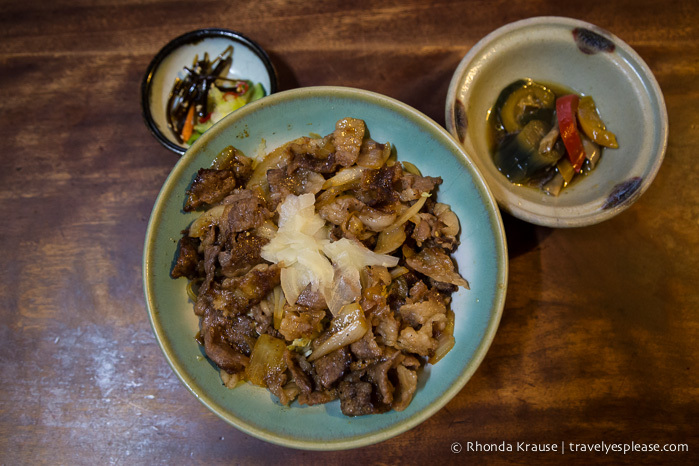 ＜Takumi Kappo- lunch＞Great lunch at this traditional restaurant, the menu is all in Japanese but with some help and explanations we were able to order what we each wanted and enjoyed a very delicious meal. It was great to have the choice for different types of dessert such as watermelon or ice coffee or tea. 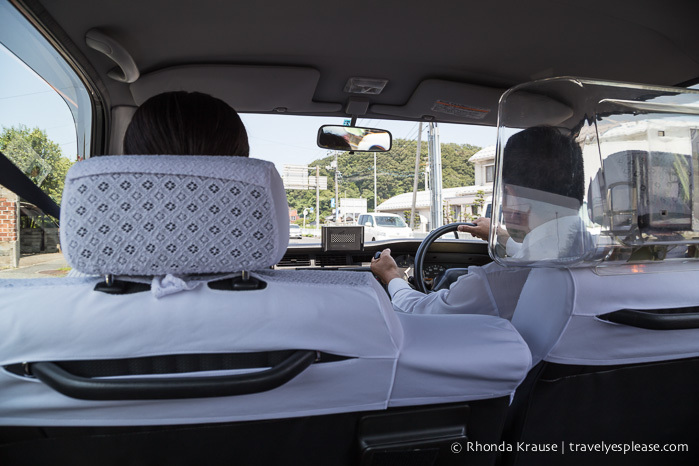 The 1000 yen taxi is a wonderful way to help tourists get around the city to see the sights. It’s very inexpensive for 3 hours, and travellers like to save money. It also saves time for tourists because they don’t have to wait for a new taxi to come pick them up after they are done visiting the attractions. 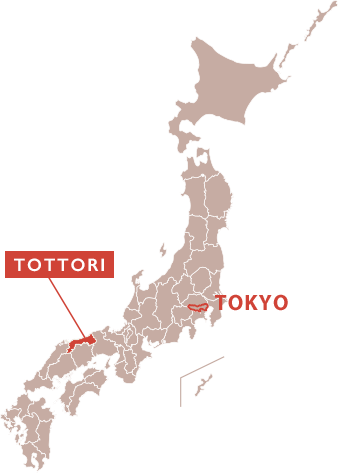 I would definitely recommend the 1000 yen taxi to travellers planning a visit to Tottori city. 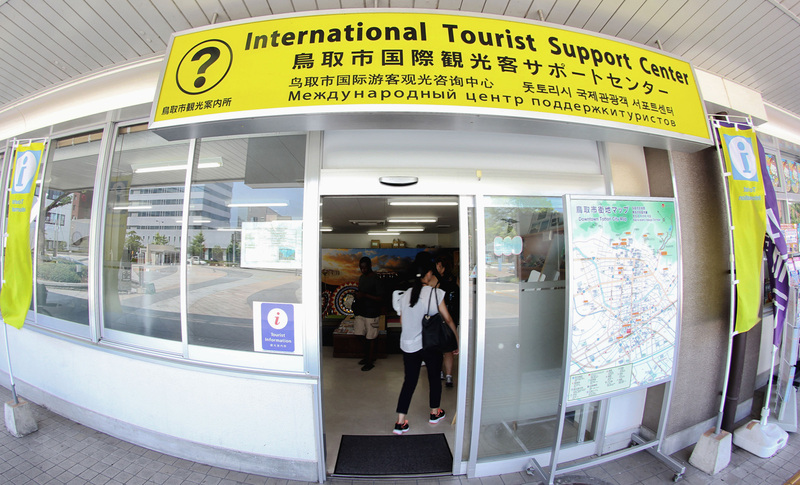 ＜1000 yen taxi＞The tourism support centre in Tottori is great, the people working there speak English and are able to help with ideas of where to go and visit, from there you can also choose to sign up for the 1000 yen taxi. 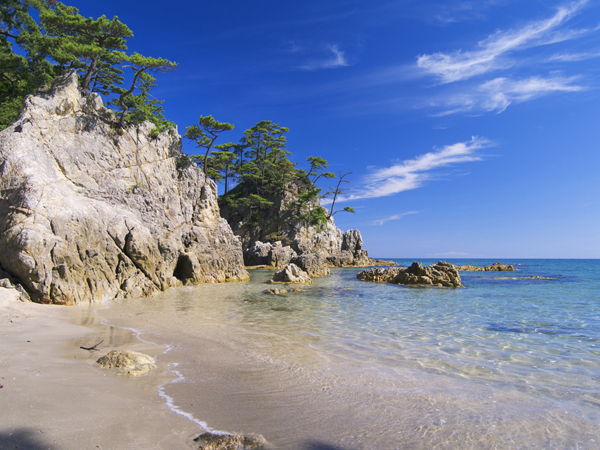 The Uradome Coast, located within San’in Kaigan Geopark, is a rias coastline extending along the coast of the town of Iwami from Kugamimisaki to Shichiyama. 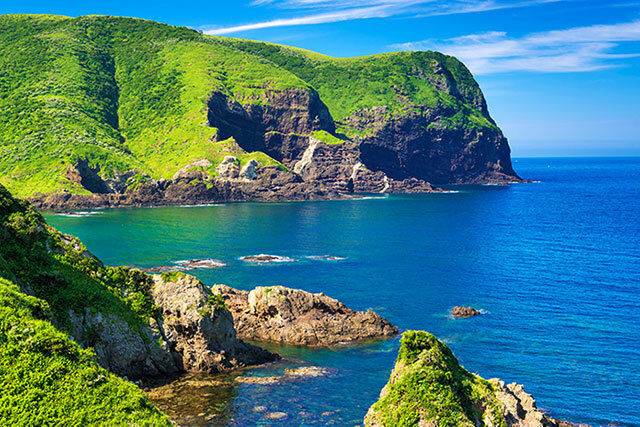 The rough cliffs, bluffs, caves and oddly-shaped rocks carved out by the waves and snowstorms of the Sea of Japan are a splendid contrast to the white sand beaches and pine trees surrounded by the clear sea and the cape. 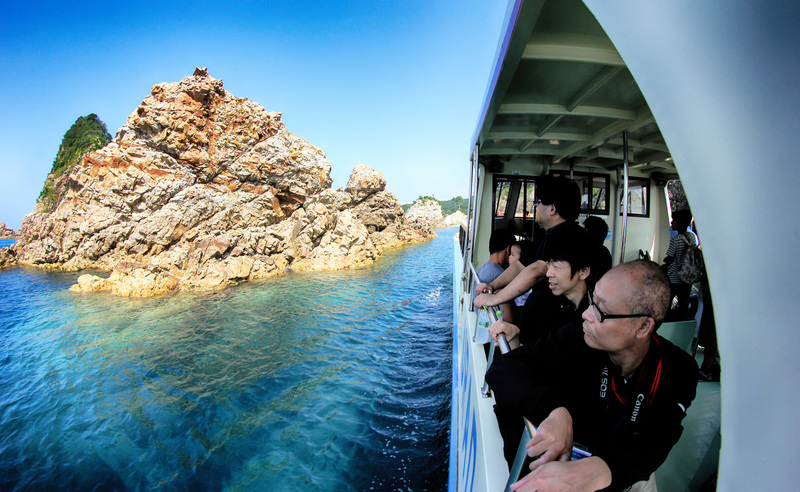 Here you can experience the charm of the Uradome Coast by taking an island boat tour, and enjoy marine sports such as sea kayaking and snorkeling. I loved the sightseeing cruise because the scenery was spectacular. The rock formations were gorgeous and the water was so clear and blue. It was also neat to see the different sea caves. There is an English brochure available so tourists can read about the area before/after the boat ride. The squid ink ice cream was definitely unique and it tasted good. It was fun to laugh at our black tongues after! 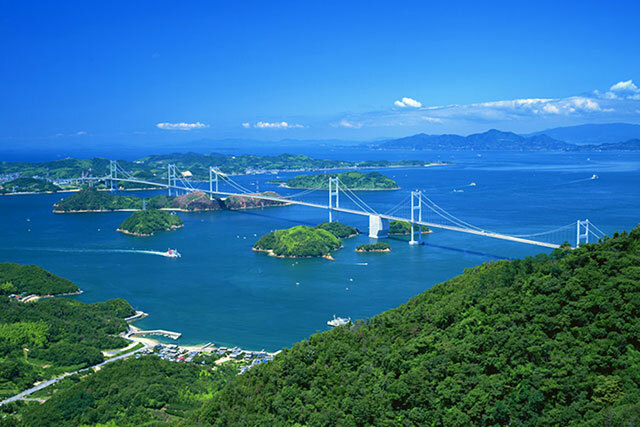 ＜Uradome Coast Sightseeing Cruise＞The boat cruise is fantastic, once you leave the pier you will be seeing a lot of seagulls and you can feed them some snacks. 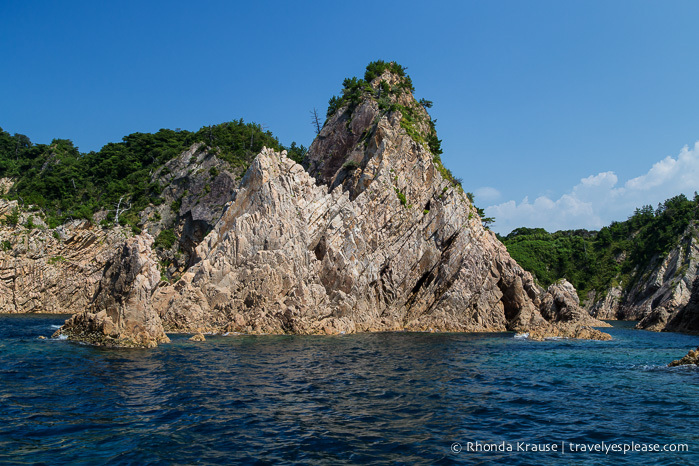 As the boat gets closer to the islands it slows down and you can take a good look at the view and also at the very clear blue water of the ocean. The squid ink ice cream was very tasty and it didn’t feel strange at all, it was delicious. 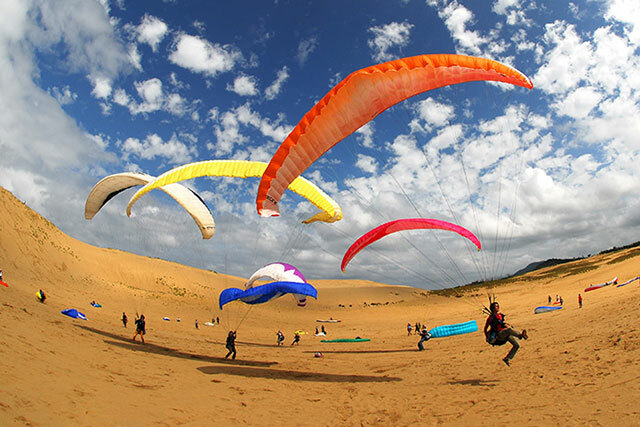 The Tottori Sand Dunes are located in an area of the San'in Kaigan Geopark and are Japan's second largest sand dunes, stretching 2.4km south-to-north and 16km east-to-west. 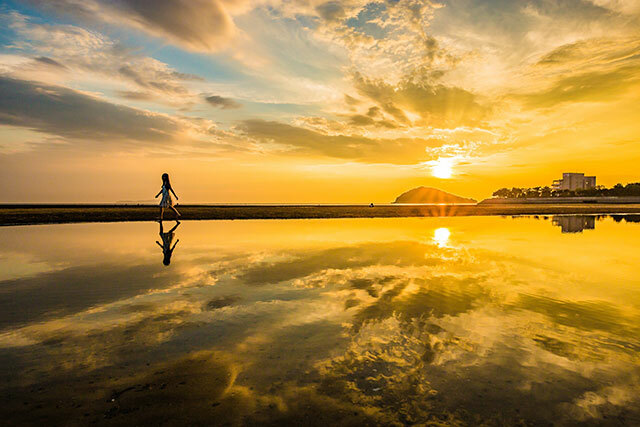 The wind ripple patterns on the sand created by winds from the Sea of Japan are very beautiful and charm the hearts of all who see them. 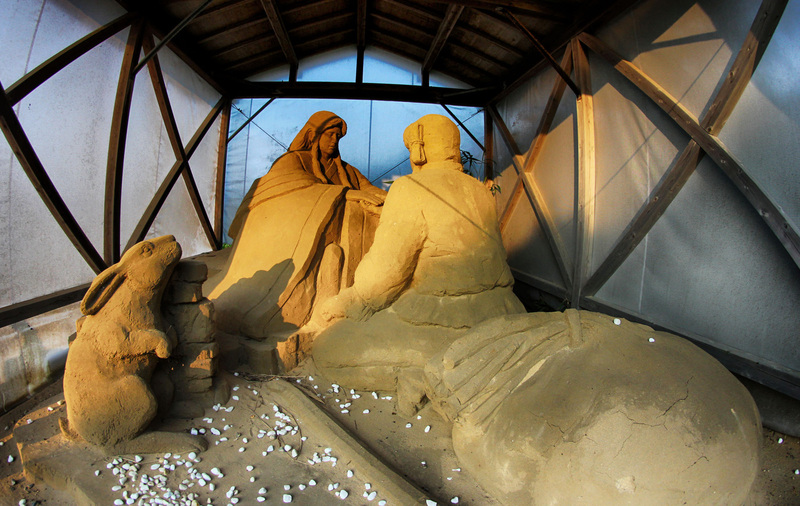 In one corner of the Tottori Sand Dunes is the world's first Sand Museum dedicated to exhibiting sculptures made of sand. The basic concept of The Sand Museum is "World Tour on Sand," with their theme changing every year. 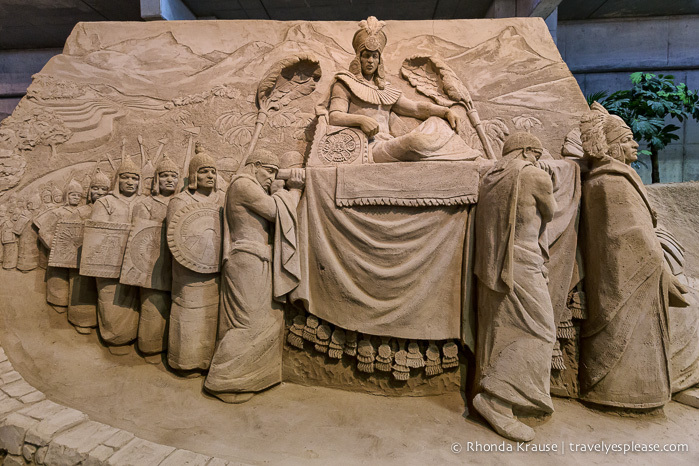 The world's top sand sculptors create intricate works with powerful presence here. The sand dunes were such a cool place to visit! 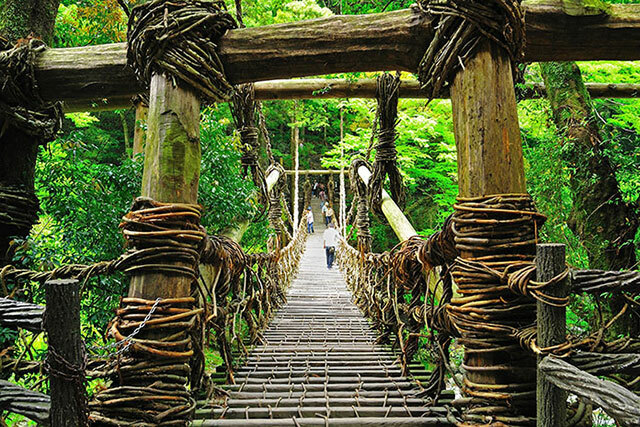 It’s not a landscape most people would expect to see in Japan, so that’s what made it so fun and interesting. 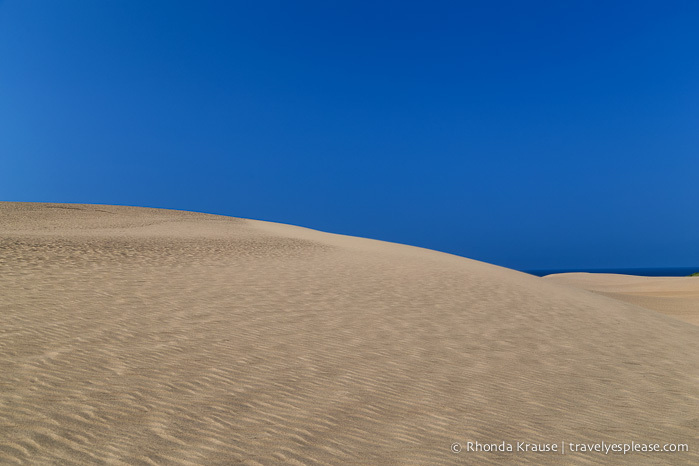 The wind ripples were very pretty as were the views from the top of the large dune. The Sand Museum was incredible and surpassed my expectations. I was impressed with the size of the sculptures and how detailed they were. I also really enjoyed the South America themed exhibit, since that is where I am travelling to next. 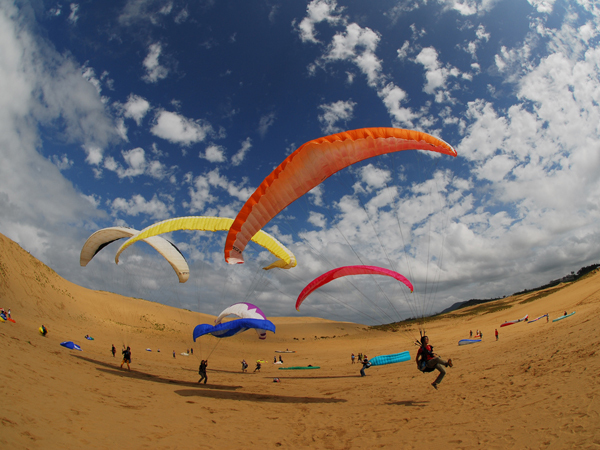 The Sand Dunes and Sand Museum and definite “must-sees” when in Tottori. 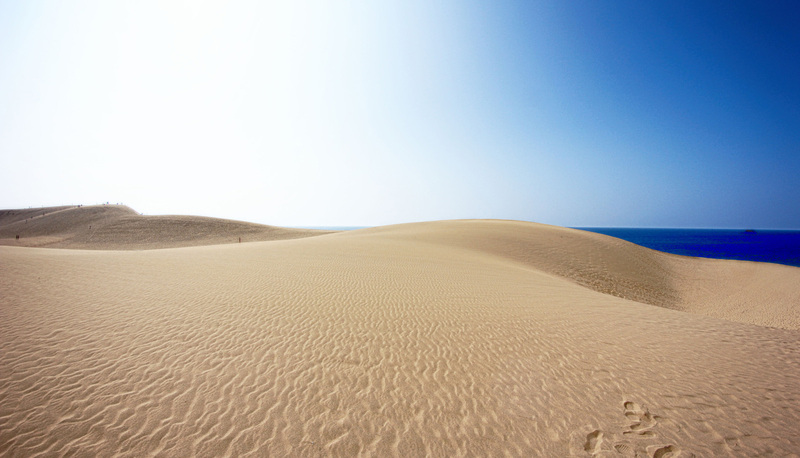 The Tottori sand dunes are very unique due to their height and that they are right near the ocean, you can just slide down the sand and reach the clear water. They also have some great plants and trees that grow nearby and some flowers are native to this area only. The sand museum was also amazing, the incredible art that was created by an international team of artists is breathtaking. 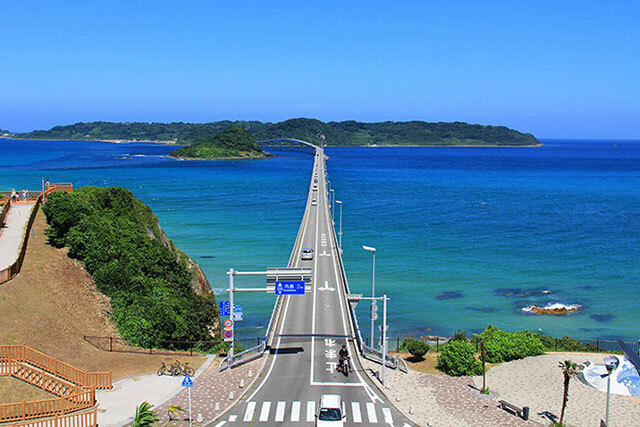 Driving along the Hakuto Coast we got enjoy a lot of beautiful scenery. My favourite was seeing the sun set behind the island with the torii gate on it. I also liked hearing about the legend of the white rabbit. An interesting story! 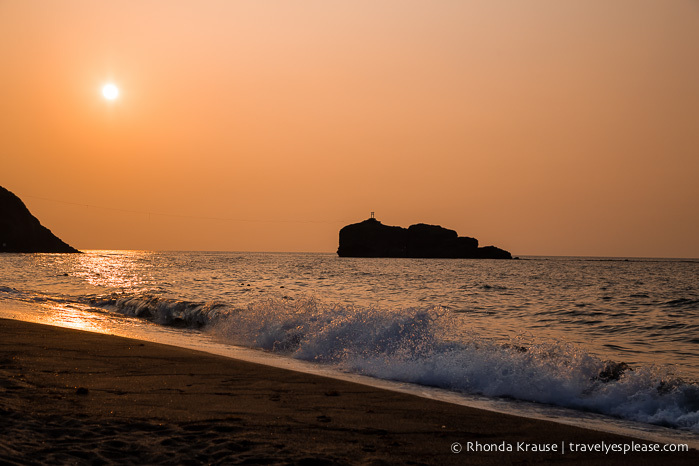 ＜Hakuto Coast＞On the way to the ryokan we passed by Hakuto Coast an area that is very quiet and scenic and home to the white rabbit legend. It is a good place to take a break and enjoy the view of the ocean and the small island from where the rabbit sprung in the old legend. 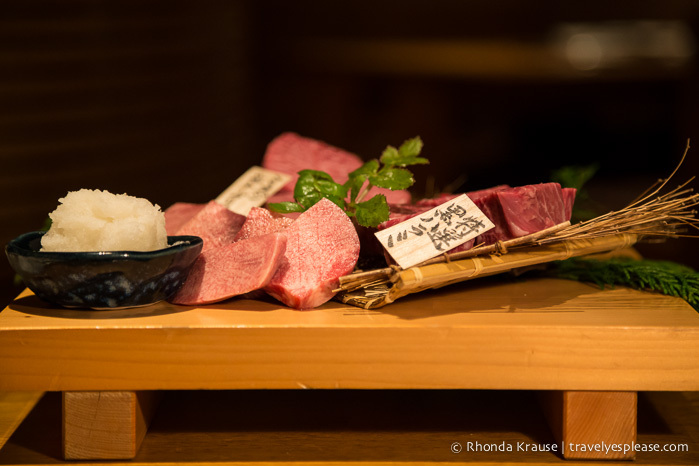 The dinner at Izanro Iwasaki was very traditional and beautifully presented. The restaurant had a nice atmosphere and great service. Once again, there was a lot of food served but it was all very fresh. 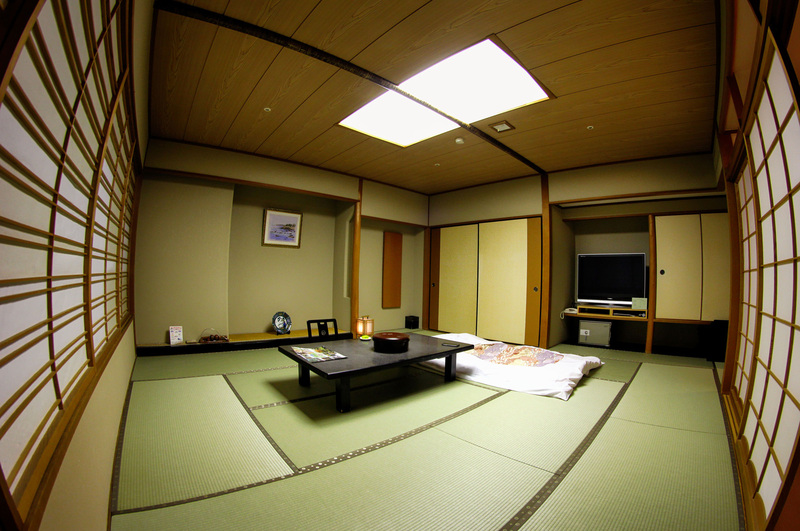 I loved my traditional Japanese-style room. It was very large, had a nice view and was comfortable, even sleeping on the floor. My favourite part of the hotel was the onsen. I loved how it was designed like a rock garden and had a few different pools you could visit, both indoors and outdoors. It was a very relaxing way to end a long day. 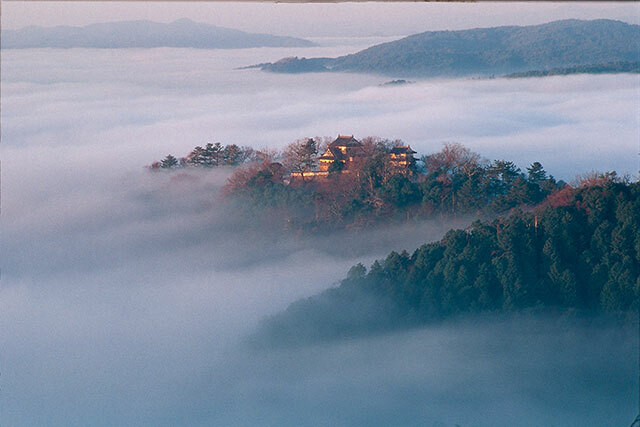 Every visitor to Japan should try staying in a ryokan and visiting an onsen at least once during their trip. 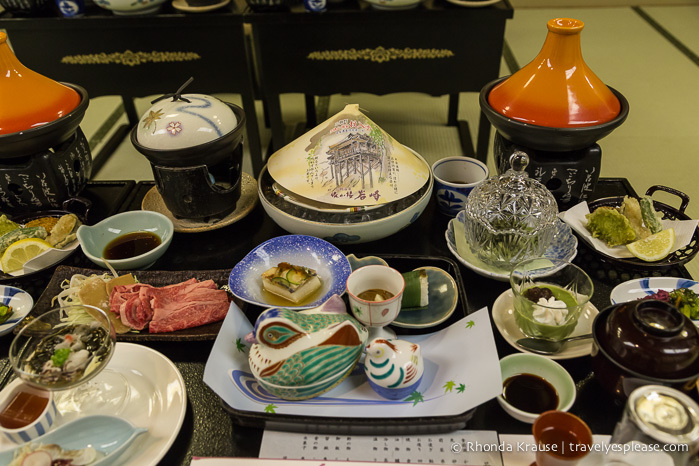 ＜Izanro Iwasaki- dinner＞The dinner at the ryokan was exquisite with many Japanese food staples including fish, and other seafood and vegetables. It was served in a traditional way and we also had a chance to talk while experiencing the different tastes of the food. 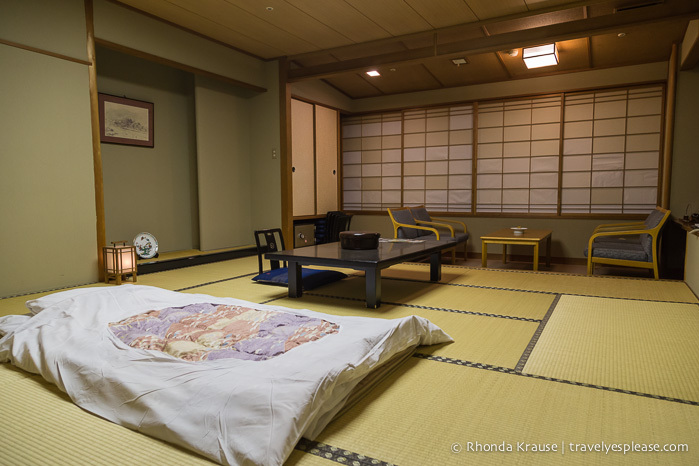 ＜Izanro Iwasaki- hotel＞The room at the ryokan was quite big and it also had a smaller meeting room as well as a kitchen area with a sink and refrigerator. The view was also amazing, being able to see the whole valley and the river through the window. The breakfast was delicious and very traditional and presented in a very ornate way. 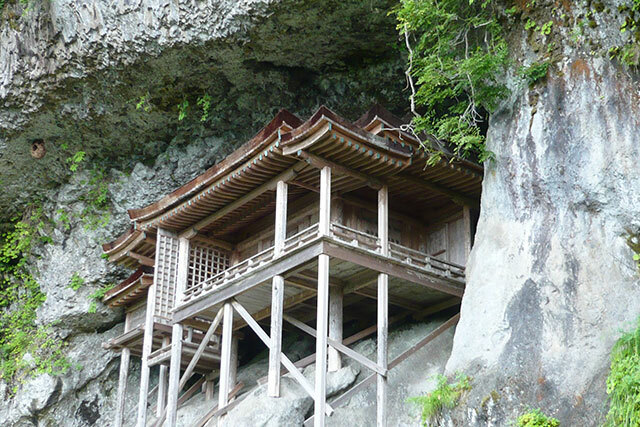 Mitokusan Sanbutsuji Temple is a mountain temple on the premises of 900-meter high Mt. Mitoku. 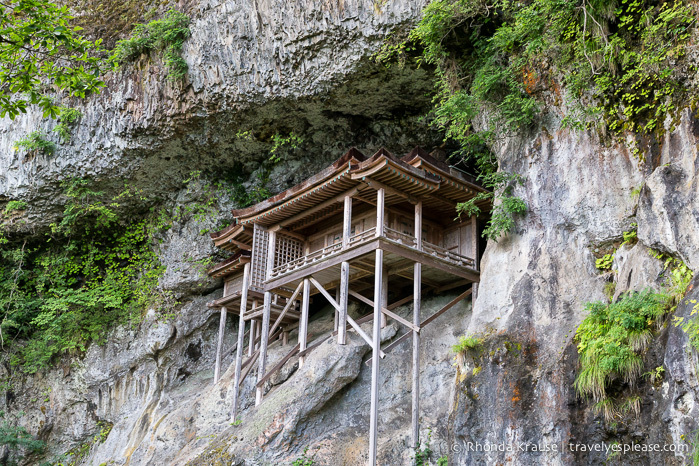 The rear temple, called "Nageire-do," is a designated National Treasure and is a rare structure built into a depression on a sheer vertical cliff face. 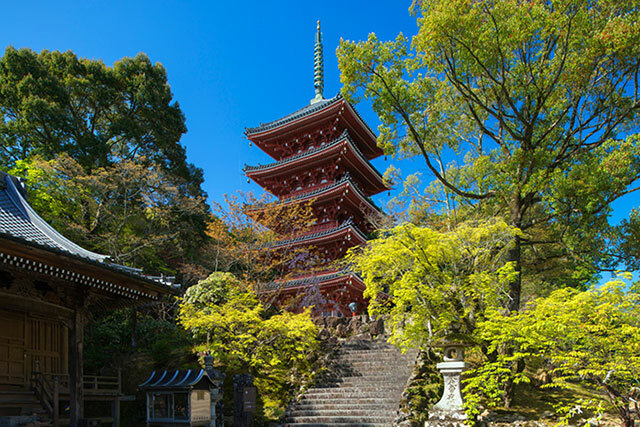 It's unclear when exactly Nageire-do was built, but legend has it that the structure was thrown up ("nageire" in Japanese) from the level ground through the spiritual power of En no Ozuno, the founder of the mountain asceticism-shamanism tradition Shugendo. 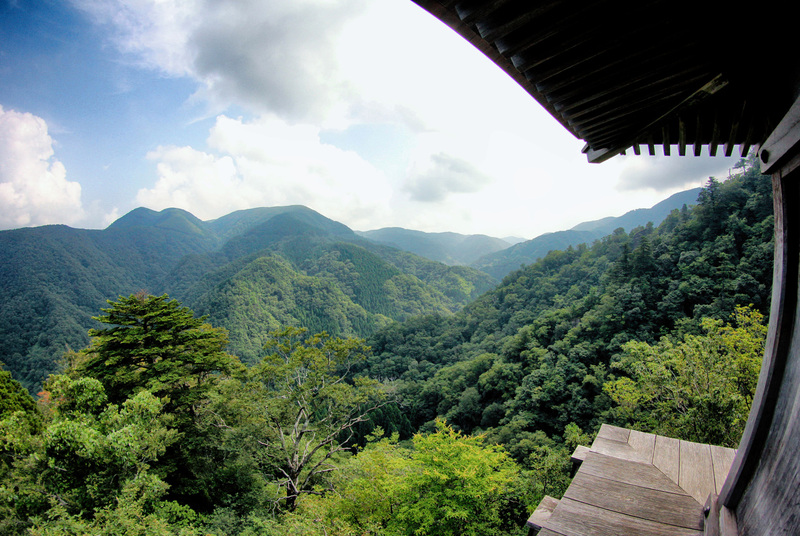 While it's necessary to climb a difficult mountain path in order to see Nageire-do up close, there is an observation point located on a road at the mountain base where it can be seen. In addition, Mt. 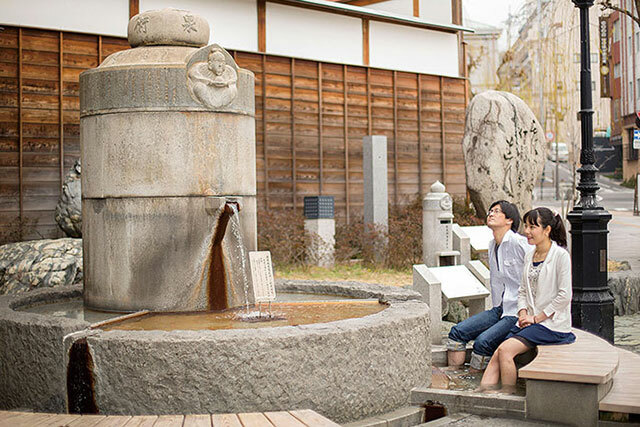 Mitoku and Misasa Onsen were designated as Japan Heritage sites on April 24, 2015 as "Places of purification of the six roots of perception and healing of the six senses - Japan's most dangerous national treasure and one of the world's finest radon hot springs." The hike/climb up Mt. Mitoku was definitely an exciting adventure! It was hard work and involved a lot of concentration but the views from the temples near the top made it all worthwhile. 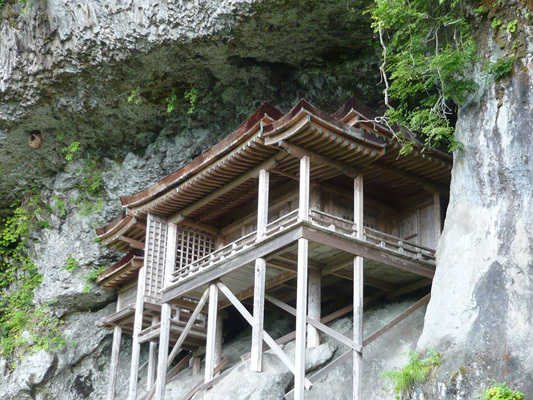 Nageiredo temple is extremely unique because of its location built into the side of a mountain. It’s a simple structure but very beautiful- a nice reward for completing the hard climb! I think hiking Mitokusan is a great idea for travellers who are fit, like to be active and enjoy being surrounded by nature. I was really glad we got to visit an onsen after the hike because we were all very sweaty. 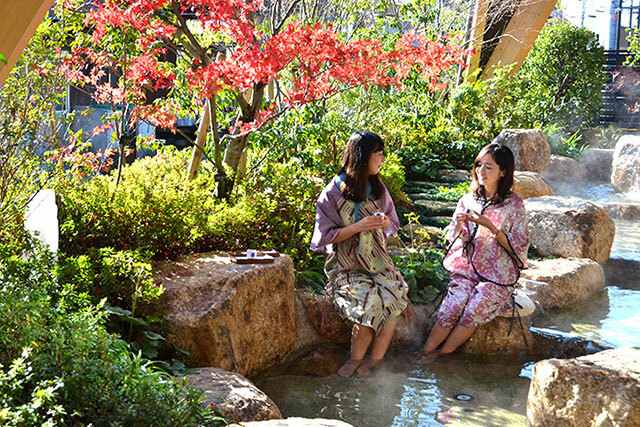 I felt much more refreshed and energized after visiting the onsen. 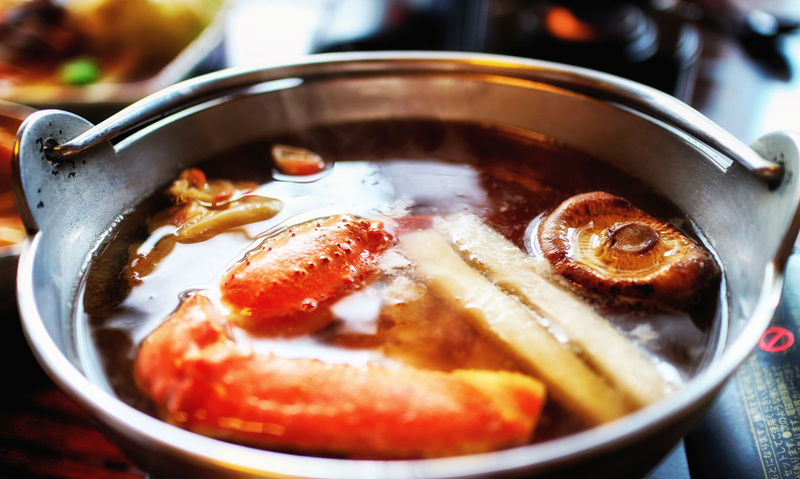 I very much enjoyed trying Shabushabu because it reminded me of having a fondue back in Canada. This also was my first time trying crab and it was delicious! 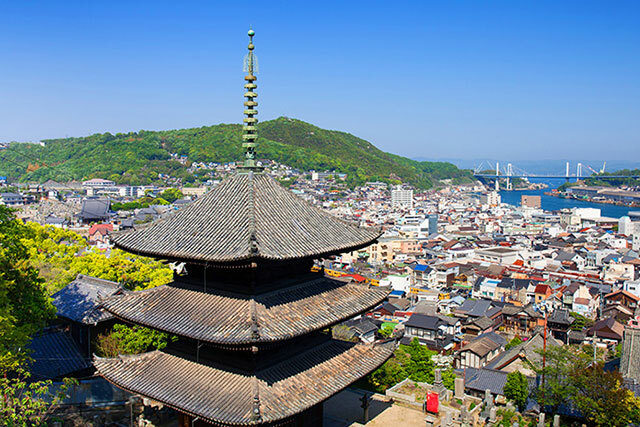 ＜Mitokusan Sanbutsuji＞Mount Mitoku was very adventurous, the climb was quite exciting and a little bit dangerous but the views from the top of the mountain were amazing. Seeing the temple built into the mountain more than 1000 years ago was also definitely something that must be seen at least once. 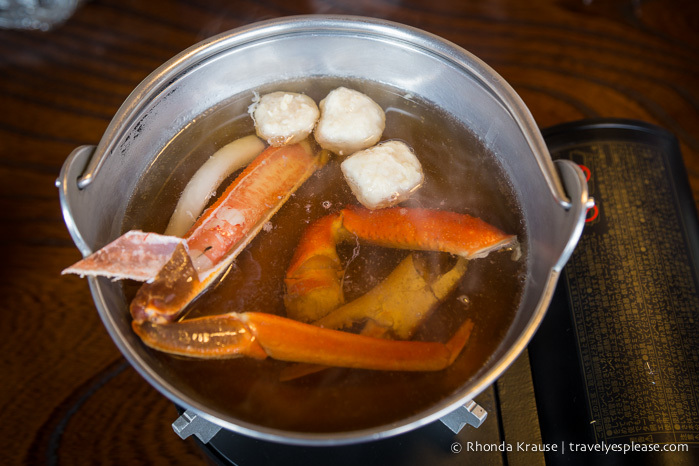 ＜Shimizuan- lunch＞The restaurant is very interesting and we were able to sit on the second floor in quite a large room and have traditional shabu shabu with crab and mochi. 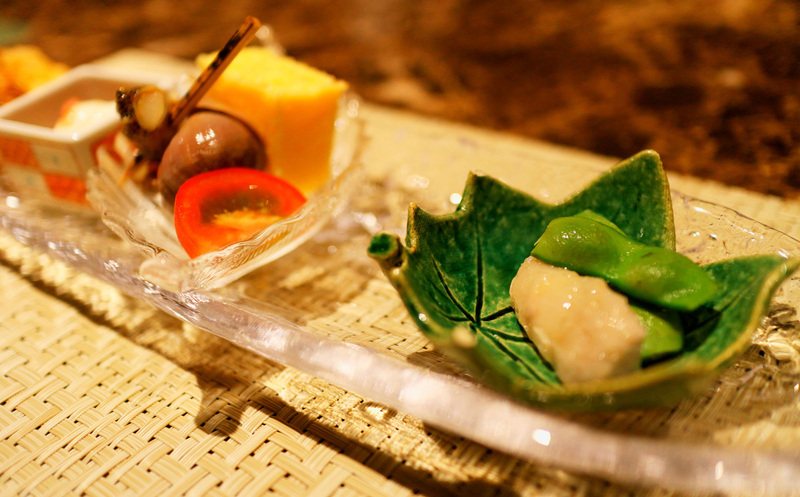 The best part was that we can cook our own food and there were 7 types of mochi served, each with its unique flavor. 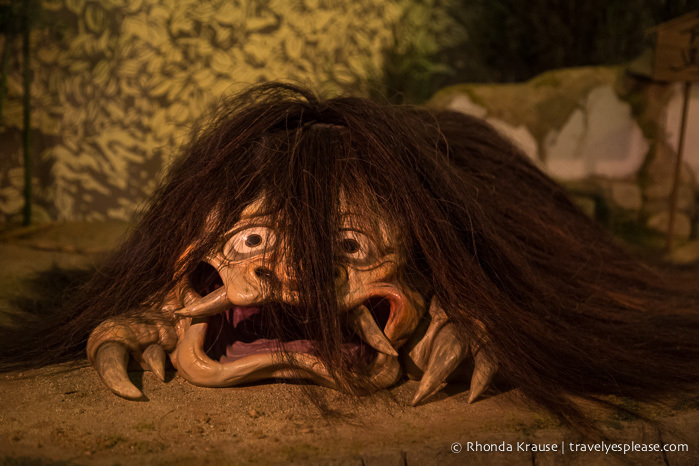 This museum taught me a lot about yokai since I had never heard of them before. It was interesting to learn about Mizuki Shigeru and the yokai he drew. I liked the yokai statues lining the street to the museum as it built up anticipation for our visit. 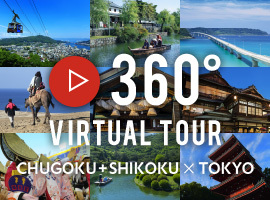 This would be a fun place to visit for tourists who know about yokai and are fans of Shigeru and/or manga. Dinner at Kyoshotei was another big meal but very delicious. It was fun to cook the meat on a grill at our table and getting to try different cuts of beef. The pudding for dessert was also very tasty. 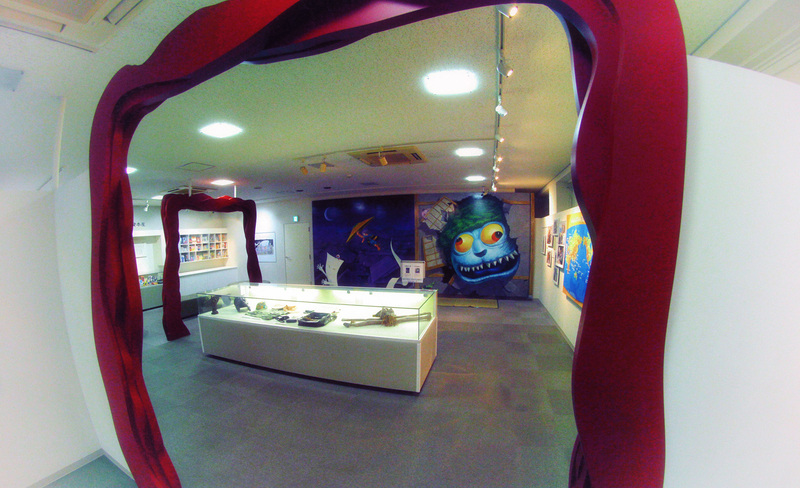 ＜Mizuki Shigeru Museum and Mizuki Shigeru Road＞We walked around Mizuki Shigeru road and were able to see many of the traditional Japanese monsters created in three dimensions as statues along the road. At the end of the road is the museum and it showcases the history of “Yokai” including the life of the author Mizuki Shigeru and all the places he had travelled to gather his stories. ＜Kyoshotei- dinner＞The restaurant was very interesting with a round table that was enclosed by a round wall so that it feels very private. 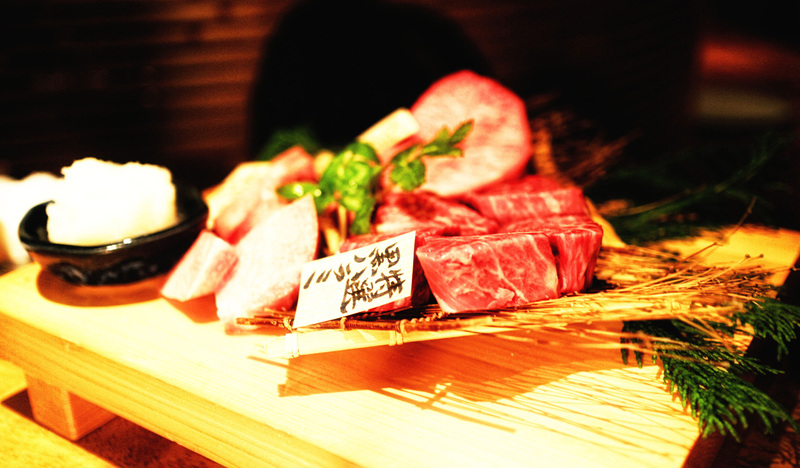 We enjoyed eating all types of beef from different parts of the body as well as some traditional vegetables. It was fun to be able to cook our food again to the exact taste that we wanted. 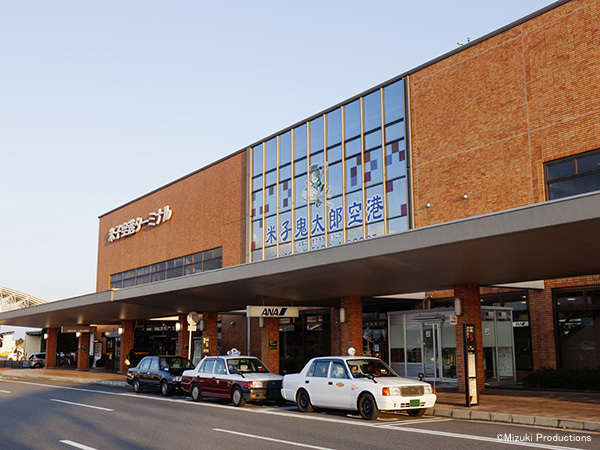 The Yonago Kitaro Airport is the center of access to the San'in area and is located nearby many tourist spots, such as Mt. 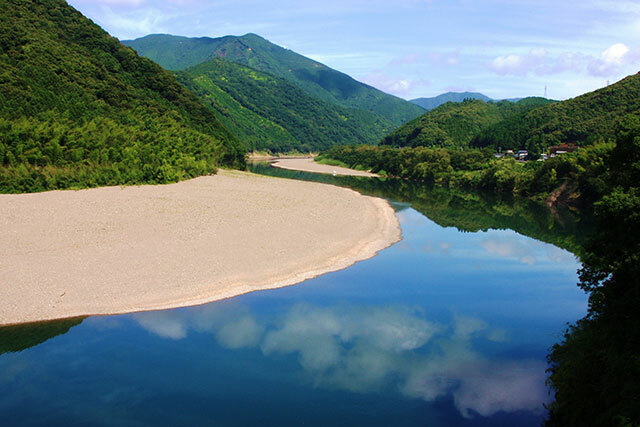 Daisen, the tallest peak in the Chugoku area, Kaike Onsen, known for having the most volume of hot spring water in San'in, and also the Mizuki Shigeru Road in Sakaiminato, where you can encounter supernatural monsters called "yokai." 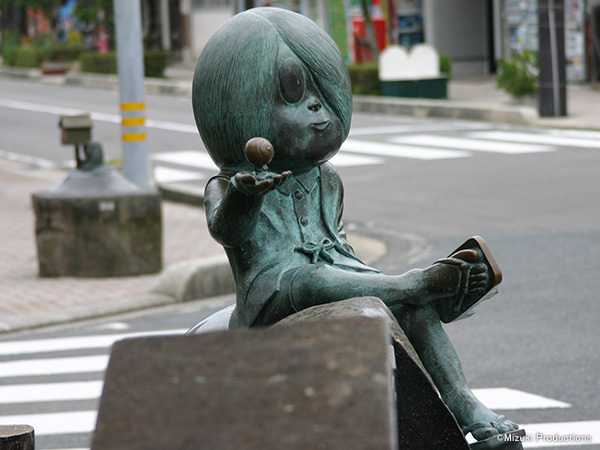 In 2010, to make use of the nationwide recognition of Mizuki Shigeru's (one of Japan's premiere manga artists and native of Sakaiminato City) popular "GeGeGe no Kitaro" manga, the airport was given the nickname "Yonago Kitaro Airport". 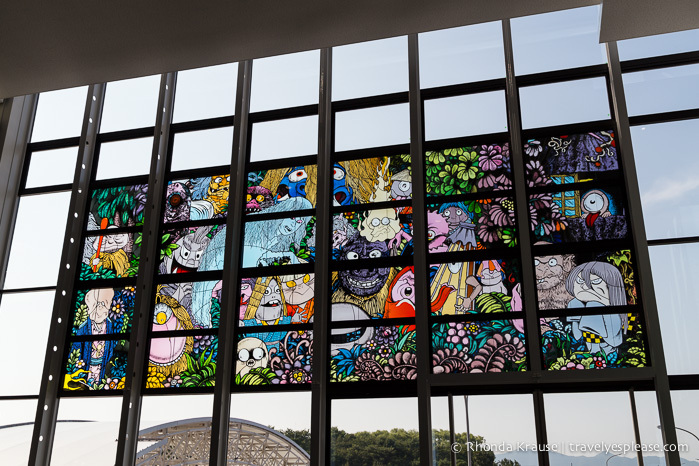 Including the main character, Kitaro, many yokai-related objects and even panes of stained glass were installed. 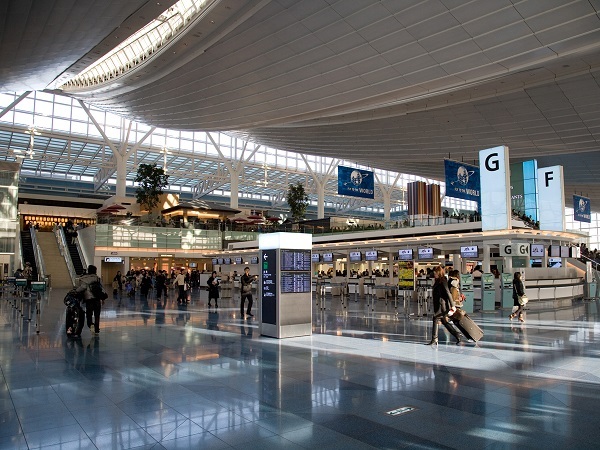 The airport is a fully equipped "station of the skies," where visitors can explore the world of yokai, while browsing the shops with a lineup of local specialties and grabbing a bite to eat in the restaurant with a view of the runway. This was a small but nice airport with the conveniences travellers need, such as places to buy food, drinks and souvenirs. I liked the stained glass window design. The flight was basic but comfortable. We even got to see Mt. Fuji from the air at sunset! 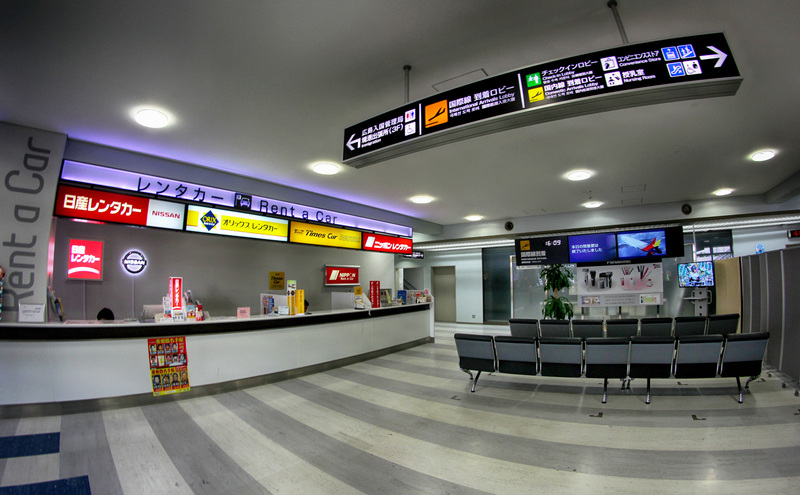 ＜Yonago Kitaro Airport＞We departed from Yonago Kitaro airport which is a very small airport but it does have a car rental company available inside the airport. This tour was fantastic and I am very pleased with the experience. Everything was well organized and there was a great selection of activities for us to try and places to see. I liked that there was a nice variety in the program. 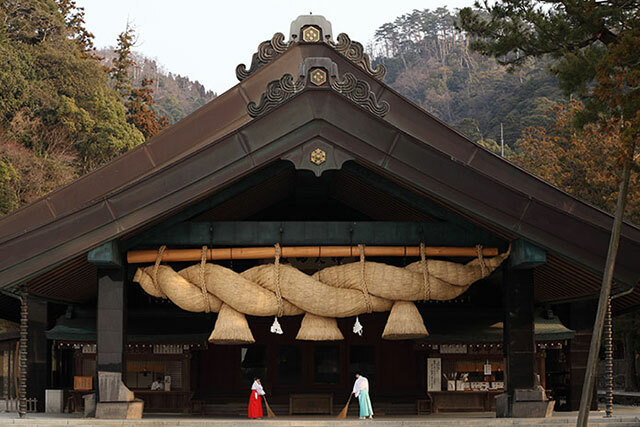 We got to experience some outdoor activities alongside museums and temples and shrines. There wasn’t too much of one type of attraction. Outdoor, I enjoy visiting destinations that have a rich culture, interesting history, traditional architecture and many options to be active in nature. Overall the tour is very interesting, information and fun. The locations picked were all very different and exciting to visit, but aside from that it was fine. The people were fantastic and very friendly and helpful as well.